Christ Pantokrator. 34x34"Acrylic on canvas. 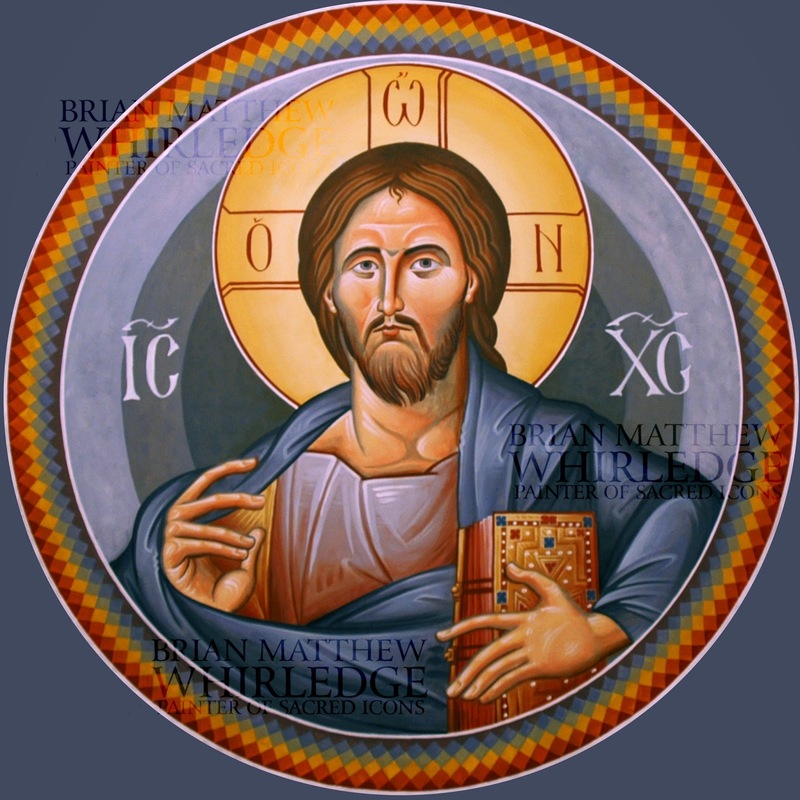 This is the finished large icon of Christ Pantokrator for the ceiling of a small private chapel. I painted this with the ancient membrane technique described in yesterday's post. For the icon (especially the drawing), I drew inspiration from all eras and places: the ancient Sinai icon, Daphni (which I saw firsthand in Greece in 2012), Chora, St. Clement of Ohrid, and contemporary icon painters Tom Athanasios Clark, Father Zenon Theodore, Aidan Hart, and George and John Kopsidas. I'm thrilled with the subtle colors in Christ's face and the almost-translucent red/blue tunic. been moving The rainbow (described around Christ's heavenly throne in Revelation 4:3) was quite a feat of geometry and patience. This icon is on canvas, waiting to be installed on the ceiling. I'll post another photo in a few weeks after installation. I love working on a larger scale!